Can a potential employer view my paycheck? It’s a common practice, but is it legal? 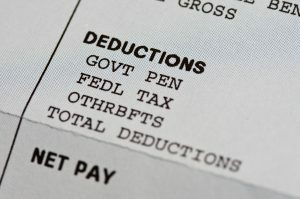 Here’s what you need to know about turning over check stubs. Interviewing for a new job is scary enough – but how do you handle the salary questions? Should you reveal your current salary? Is the new employer even allowed to ask? Money is a sensitive and confidential issue. You might want to ask: “Why do you want to view my paycheck?” but are afraid this question could lose you the job offer. Here’s everything you need to know about navigating the sensitive issue of salaries when you’re looking for a new job. Do I Have to Reveal My Salary in a Job Interview? At some point in the interview process, it’s likely that your prospective new employer will ask about your current salary. Technically, you have every legal right to refuse to answer that question. You may also have a confidentiality clause in your current employment contract that expressly forbids you to discuss your salary outside of the company. However, some employers may wonder why you’re not providing your salary and push you for it. The number one rule here is: do not lie. Even if you’re interviewing for a job way above your current pay grade, don’t lie about it. You have two options: you can stick by your original response and not tell them. You may have to memorize a few ways to politely but firmly decline to answer. Or, you can tell them the truth. If your new role has a much higher salary on offer, this is your chance to explain why you feel you deserve such a raise. List examples of additional responsibilities you have taken on, for example, to demonstrate that you’re capable of doing the new job. If you lie and tell them your salary is the same – or higher – than the one advertised for the new role, you risk being found out. This could result in the retraction of the job offer or dismissal if you have already started to work for them. 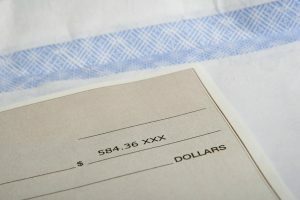 Do New Employers Have the Right to View My Paycheck? A prospective employer, that is, one with whom you have not yet signed a contract with yet, has no legal right to view your paycheck. They are allowed to ask for it but you are allowed to deny them access. There is an ethical debate about asking for paychecks. On the one hand, it confirms the employment status an interviewee has quoted in their interview and on their CV. On the other hand, it implies that the new employer has a lack of trust in the individual. If this is the case, why would they hire that person anyway? Finally, requesting evidence of a previous salary is also a way for budget-minded companies to low-ball their own salary offer to you. It acts as a benchmark for your previous experience and leaves them open to offer a lower salary based upon your current earnings. Showing new employers your paycheck, or telling them your current salary, gives them more bargaining power. Most HR professionals would understand if you choose to keep your right to privacy and confidentiality of salary status, but those that push may make you question whether you want to work for that company. What Happens Once I Have Accepted a Job Offer? If a new employer asks for a previous pay stub once you have started working for them, you must supply it by law. The reason for asking may be as innocent as they need the information to create pay stubs. 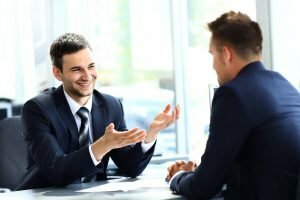 It is unlikely that they want to check your honesty after they have already hired you, but this could also be the case. If they have asked for your previous paycheck and they see that the salary is different from the one you quoted in the interview they can dismiss you for dishonesty. What Should I Do With a Pay Raise? The best way to answer interview salary questions is: “I’m afraid I’m going to decline your request to view my paycheck”. With that confident and polite response prepared, you’ll feel ready for that crucial job interview. When you’ve landed the job – AND the higher salary – what do you plan to do with the extra money? You might want to buy an apartment, move to a larger rental, or pay off debts. Have you ever thought about investing, too? Investing your spare cash every month is a great way to start building an investment portfolio to secure your financial future. Read our top beginner’s guide to investing to help you on your way.